Deacon Dodge of the Cathedral of the Madeleine probably spoke for many observers when he remarked, “I was both surprised and gratified, given all the media hype even within the U.S. Catholic media about this question [of pastoral care for the divorced and remarried], that it wasn’t dealt with more” by the working document. “While acknowledging the suffering of those who cannot receive communion because of their remarried status,” he added, “the Instrumentum does not lean heavily towards making accommodations for [them] … to start receiving communion.” Jesus’ clear pronouncements on the indissolubility of marriage make this issue “no mere pastoral concession” but one that “goes to quite fundamental theological matters,” he explained. “I like that the Instrumentum [section on openness to life] recommends the dissemination of Pope St. John Paul II’s teaching on theology of the body,” added Deacon Dodge. Prior to the working document, commentators such as Fr. 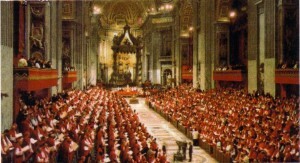 Landry expressed unease that the Synod would disregard the seminal thought of Pope St. John Paul II on marriage, sexuality, and the family. 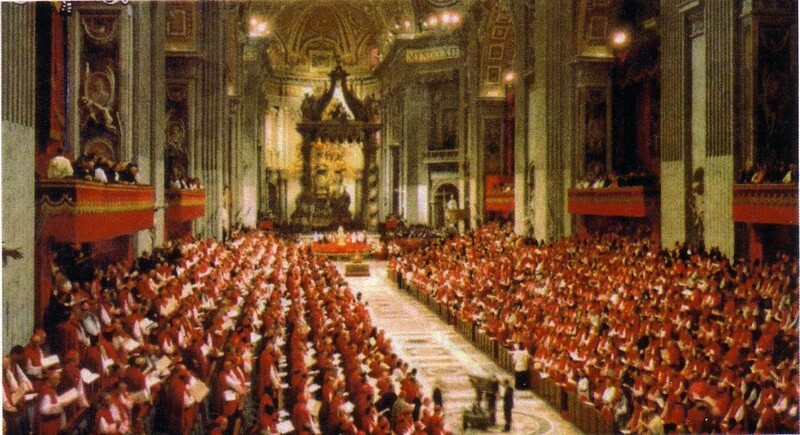 The working document should allay such concerns by its frequent mention of the Theology of the Body and other themes expounded on by the John Paul II. Moreover, the document’s entire character bears the stamp of St. John Paul’s perspective on the importance of being created male and female, particularly in relation to troubling developments like gender theory, the idea that gender is a social construct rather than a biological reality.